are made of solid wood in several, distinct wood species. the wood family that is perfect for your home project. 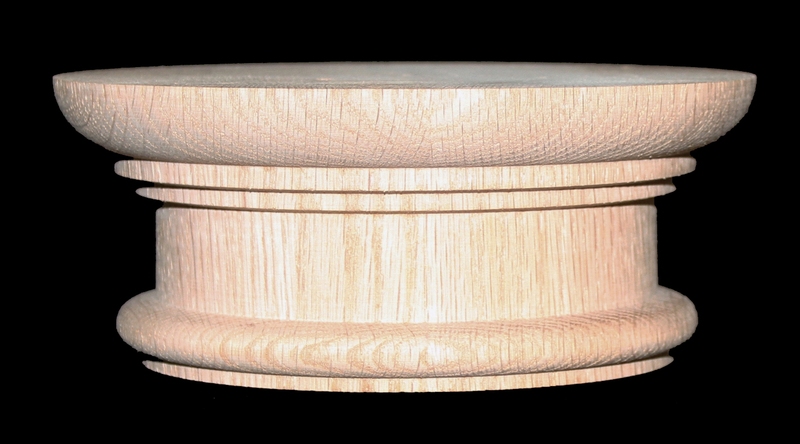 Cherry, Red Oak, Soft Maple, White Oak, and White Pine. capital and an Ionic (Attic) Base Molding and Plinth. and download our detailed column drawings (in .pdf format). 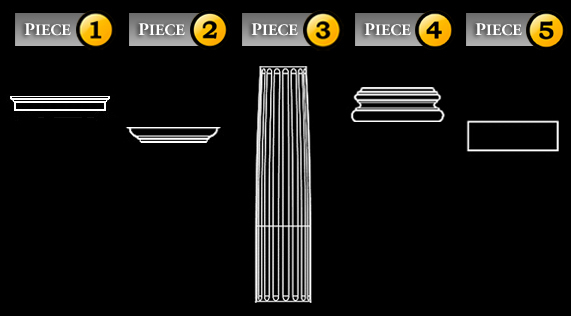 UPPER / TOP DIAMETER: 4-5/8"
This fireplace column design will be shipped in five (5) separate pieces. 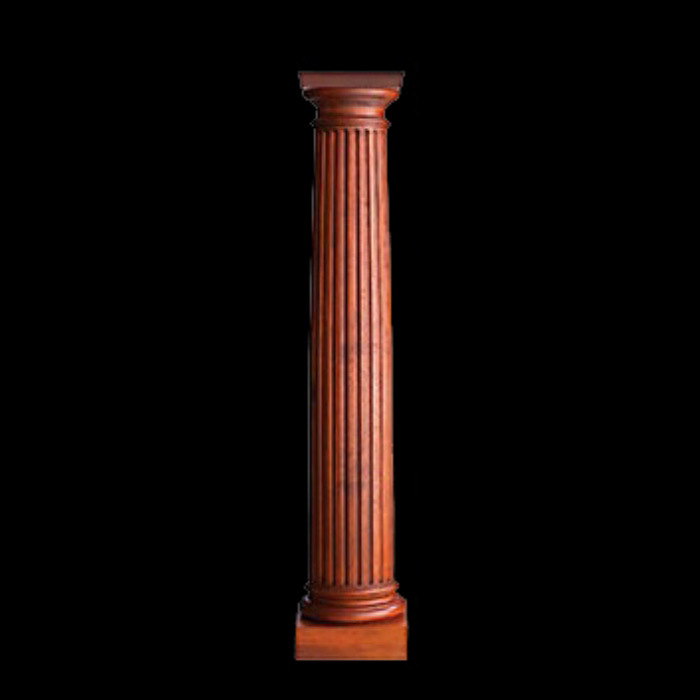 This column can be trimmed from the bottom of the column shaft. We are able to create custom heights - Please inquire about our custom scaling options. * SHIPPING: Please allow for a (4) week lead time.